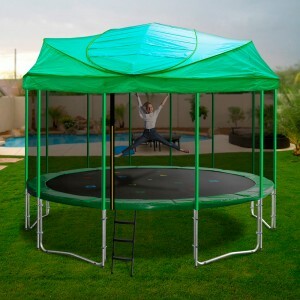 Do you kids love to be outside on their trampoline all day? We often find that children want to be outside jumping all day, despite the weather. So at Oz Trampolines we redeveloped our Oz Trampolines ‘Trampoline Roof’. This versatile roof is suitable for most trampoline designs, is an easy to use pop-out design, can be installed in minutes and is available in a range of bright, fun colours. 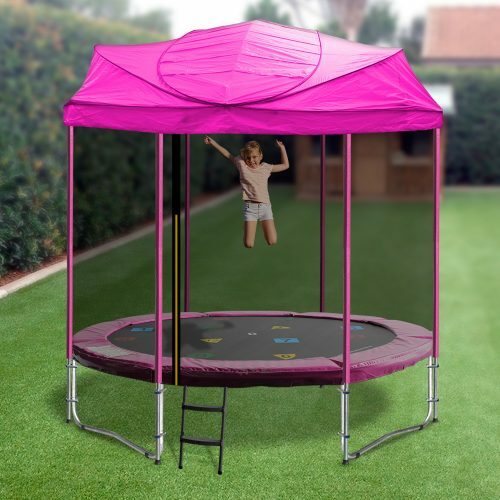 The perfect trampoline accessory to enjoy on your trampoline; our trampoline roof offers shelter and shade and are a uniquely designed dome shape to ensure that your child’s bounce isn’t compromised. 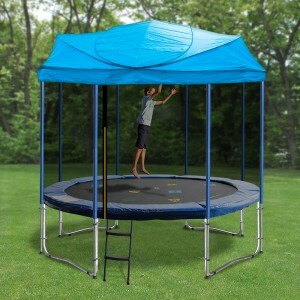 Suitable for trampolines with both bent and straight poles, this fun, exclusive roof is sure to provide hours of trampoline enjoyment! *Please remember that our trampoline roofs and tents are not designed to be permanently installed. We recommend removing them in high winds and heavy rain to ensure your product lasts and remains a fun, enjoyable trampoline accessory.